When you love someone, they become a part of who you are. They're in everything you do. They're in the air you breathe and the water you drink and the blood in your veins. Their touch stays on your skin and their voice stays in your ears and their thoughts stay in your mind. You know their dreams because their nightmares pierce your heart and their good dreams are your dreams too. And you don't think they're perfect, but you know their flaws, the deep-down truth of them, and the shadows of all their secrets, and they don't frighten you away; in fact you love them more for it, because you don't want perfect. You want them. 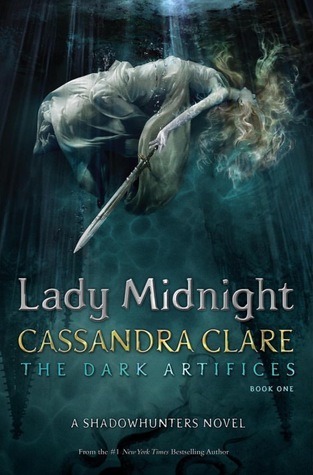 You want—"
There are many reoccurring themes and characters mentioned from past releases by Cassandra Clare in Lady Midnight, but perhaps the most significant part to this installment–the first of a planned trilogy called The Dark Artifices–is the nod to a small truth each and everyone of us faces. It’s that sometimes answers come about in ways you least expected and that often, these truths can leave our lives in shambles and make us wonder how it came to be. Not to mention a world of betrayal. So–answers. Answers and more questions. That’s the first thing we come to see and have resolved piece by piece throughout this monster of a novel. Lady Midnight is large and fast paced and steamy; Clare brings us back into the Shadowhunter world effortlessly and in some ways just keeps getting better. Sometimes, a family is like an ear of summer corn: It might look perfect on the outside, but when you peel the husk away, every kernel is rotten. With the DiLaurentises, the girl who seemed like the victim might just have been the tormentor. Sending Courtney away might have just been Ali’s master plan. 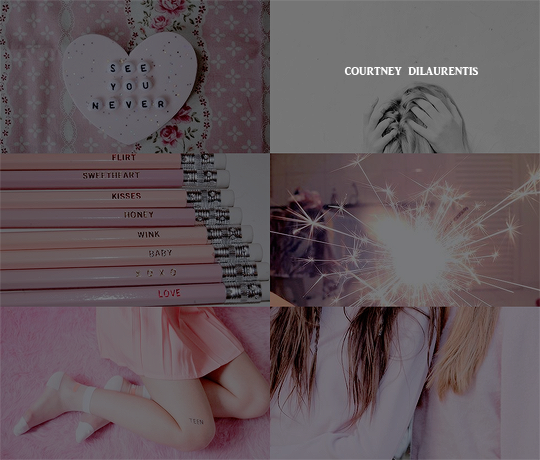 And maybe, just maybe, all Courtney wanted was what she deserved–a happy life. Original posted to my Tumblr. Have you looked outside your window lately? Seen a calendar and thought: 'wow, where has the time gone?' I know I have. Spring has officially sprung and this means plenty of opportunities are arising and summer is nearly here! Beyond the typical sunshine (or rain, more than likely but for arguments sake let's call it sunshine), flowers, pastels and surge of unfortunate allergies; it means that there are going to be a large supply of reads that literature lovers should check out. New releases come and go, with darling cover art and complexities of human life to harsh truths and frivolous needs. I’ve found that some of the best reads come from spring or autumn, so to help narrow down some options for my readers I’ve complied a list of some of my most anticipated releases of the season and can hardly wait to get my hands on finished copies of these bad boys. It goes without saying that taste is subjective and this short list is only suggestions that have caught my eye in recent weeks, so take this with a grain of salt. Let's face it: a lot of sunshine and a good novel goes a long way when it comes down to it at the end of the day. Whether your choice read is for in between classes, ever-so-short work breaks or for your own personal pleasure in the sunshine, readers everywhere will be tripping over themselves to pick up copies of these twelve novels. Between work and social interactions and endless binge watching of The X-Files, these books have captured my attention and found their way onto this list for one reason or another. "No one knows what to do with me now that I'm alive. There's no protocol for how to treat someone who comes back from the dead. There are so many books about grief and loss, about saying good-bye to the people you love. But there is no book about taking back that good-bye." 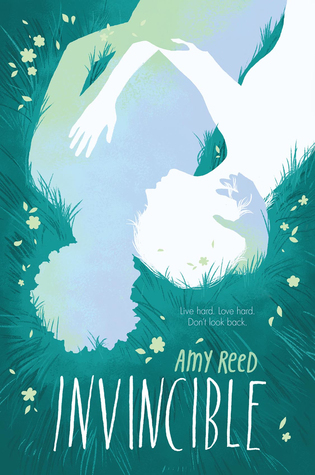 The biggest mistake a person could make when picking up Amy Reed’s novel Invincible is to make the assumption that it is similar to The Fault in Our Stars. If you go into this novel thinking it will be anything like the other, you’re only going to be disappointed. The truth is that they are both heartfelt and will twist your heart until its broken on multiple occasions, but that is where parallels really and truly end. While there are similarities between both novels, ultimately the story and our lead characters coping mechanisms are completely different and the only deep similarity between these stories is the theme of loss and cancer. 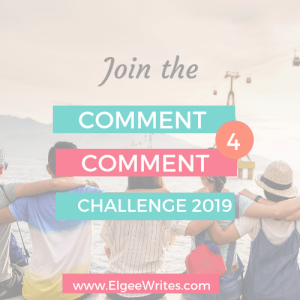 A lot of readers have been unable to finish the novel due to the differences in its down, during the split then and now. I found the differences startling and quite heartfelt, though. As someone who has watched cancer tear people apart in the past, I thought that Amy Reed crafted the character of Evie incredibly well. She is everything a teenage survivor could be and her struggle is all too real. Evie comes to life on the pages of her story and sometimes you want to shake her and sometimes you just want to hold her. 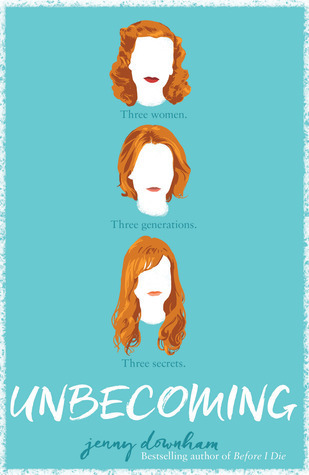 Three women, three generations, three secrets–Unbecoming is all of these things. Jenny Downham portrays three different voices in such an incredibly touching way that their stories are not something you’ll forget too quickly. Unbecoming is a portrait of a life lived, of a life catching up to you and of a life only just beginning. It is so much more than that. It is vivid, unforgettable–Downham weaves together a life of memories and new beginnings; the way a family bonds or breaks and so much more. There’s a dreamy and delightful tone to its prose that makes it a fast read. Unbecoming touches on so many topics that I can’t begin to explain it in just a few paragraphs–the complexities of life and family are present and truthful to the world outside of the novel. This is it, guys. One of the best young adult books of the year. One of the best young adult books of all time. God, it was just so breathtaking and wow. 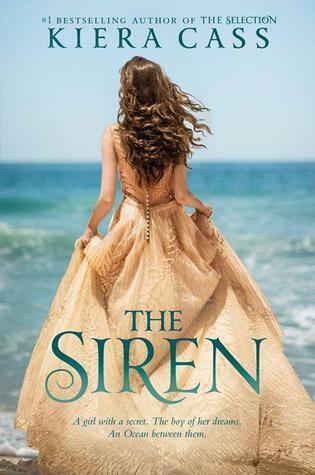 As someone who has been a massive fan of Kiera Cass since the second I finished her The Selection series, it will come as no surprise to hear me say that I had looked forward to reading the revised edition of her first novel The Siren. It was only doubly appealing to think of all the mythology, the romance and the soothing and delectable tone her writing takes on. Say what you will about the simplicity of it all, there’s just something so damn fun and appealing about the way her stories unfold. Kiera Cass is a romantic at heart and manages to put a hint of suspense in everything. If anything, this is something we should keep in mind–her prose is deeply satisfying in all its flaws and The Siren, though at times dull and rushed, is still a page turner and a simple read. In fact, while it wasn’t my favorite read this year nor my favorite release by her, it is a grand addition to your summer reading list. There’s no guilt in reading it and it won’t take readers long to complete it. The Siren is a tale of forbidden love, with mythology here and there to keep things going. I have to admit, I expected more of it and wished for more development. Sometimes, I felt the characters were likable but merely there and the dreamy tone didn’t offer much to help me. I also wasn’t that pleased by the relationship we witnessed–it was sweet, but a little too rushed and I just couldn’t get into it. 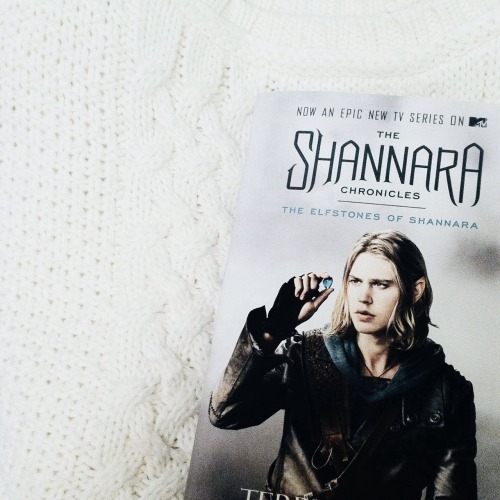 One of the newest books to my shelves is The Shannara Chronicles: The Elfstones of Shannara, the novel which served as the basis for the new MTV series. This series isn't new in its literature form and is actually one of my dad's favorite series. It was always one of my Grandfather's favorites. I've been meaning to pick it up for years and now with its presence being sparked once more, I've finally been able to find an edition of it of my own. I'm excited to dig in! "Those words, that voice, had more power over me than any phantom ever could." My thoughts on the conclusion to a phenomenal series? 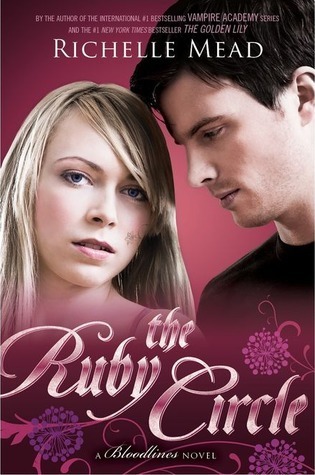 I can’t even believe I am about to say this but The Ruby Circle is the first, and only, book in the Bloodlines series that I didn’t love. I liked it, this much is true, enough to reread it in the future, but it was still a rather weak installment and not at all up to the standards usually set by Richelle Mead. I daresay it bordered on half-assed and rushed. It was enjoyable–but only to an extent. 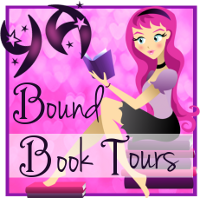 By comparison to the other novels in the series, it was watered down and sped up to hit a more suspenseful note. But it didn’t mesh well with it at all. Mead attempted to wrap up plots from the novels in a way that could have been excellent, had the novel been a bit longer and less “everyone gets a happily ever after except a few!” and more detailed. See, I’m all for happy endings and logically speaking a lot of things from this final book have been a long time coming and hinted at for ages. But it all felt a bit dull. “Boom, this thing happened!” and “Boom! They’re together now!” and “Boom, let’s make a deal!” is how the story felt to me. Unlike the previous installments, it felt rushed and as if we were told things rather than shown them. In a tune similar to that of If I Stay, readers can expect to have their hearts break in half and a box of tissues is the ultimate required companion when diving into Untwine. Edwidge Danticat releases the thoroughly touching (fictional) story of twin sister’s Isabelle and Giselle Boyer and the accident that separates them between life and death. Untwine reflects on their lives spent as sisters and the very accident that kills one. Danticat proves once more how solid her prose is; her writing chops bring on their best emotions for readers as they get to know Giselle and her thoughts and those moments, and years, leading up to the accident that will change her family’s life forever and beyond. 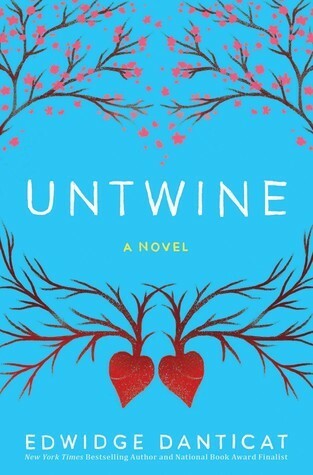 More importantly, Untwine reflects on that past and approaches grief in a way that is honest and hopeful and full of a lot of emotional turmoil.